"Convincing people that most of our present schools are bad for learning is not going to do much to change them; learning is not principally what they are for." Some of the most interesting figures in the libertarian tradition are the people I call the Outsiders. The Outsiders are generally independent intellectuals and writers who are obsessed with one particular social or political issue. The Outsiders come at their single issues the way certain dogs come at certain bones. They chew them and worry them and gnaw on them and work at them incessantly, determined to understand them from the ground up. And once they do, once they've realized their goal, they find that they have reasoned themselves into a version of libertarianism. Some of them recognize that this is what has happened to them. Others remain clueless. But, either way, Outsiders remain outsiders. Even if they do realize what they've reasoned their way into, and even if they don't mind that realization, still, they don't join up and become conscious, movement libertarians. They just go on about their intellectual business, providing movement libertarians with invaluable ammunition against their opponents on that one particular issue in which they specialized. Sometimes they provide movement libertarians with valuable insights of a more general kind. And, of course, in the process of doing all this, they open and hold open what amounts to a new and different door into libertarianism. John Holt, whose birthday we celebrated on April 14, was such a figure. Holt died long ago, of course, back in 1985. Had he lived, he'd be 87 years old. Like all the Outsiders, he's an object lesson in the many ways there are to reach libertarianism and how you can never be sure what path is going to work for any given individual. Holt, in effect, reasoned his way to libertarianism from his relentless, dogged analysis of what worked and didn't work in education, in the schoolroom. And there is irony in this, because Holt was a relative latecomer to the schoolroom. He didn't become a teacher in his early 20s, right out of college, as many, perhaps most, teachers do. He was 30 years old before he ever took a teaching job. And he took it then mostly as a favor to his sister. Holt had been born in New York on April 14, 1923 with the proverbial silver spoon in his mouth, the oldest of three children in an extremely prosperous family. He attended expensive and exclusive private schools in Switzerland and New England and then enrolled in Yale University. When he graduated in 1943, with a degree in engineering, a subject that no longer interested him, World War II was on, and able-bodied young men were expected to go off to war. So Holt enlisted in the Navy and served in the Pacific Theatre of the war as a member of the crew of a US submarine. He was appalled by US President Harry Truman's decision to drop atomic bombs on Hiroshima and Nagasaki. He thought about Truman's decision long and hard, and about his own reaction to it, and he decided that the deployment of nuclear weapons in warfare was the greatest threat to the future of Western civilization and that the best way of preventing the destruction of Western civilization by nuclear weapons was to work for the establishment of a single world government. When he was mustered out of the Navy in 1946, he took a job with the New York-based American Movement for World Government. Late the following year, 1947, he signed on with the newly founded United World Federalists — an organization that still exists; it's now called the World Federalist Institute. He stayed there, working for world government and world peace, for the next six years. He was, you might say, one of those "one-worlders" the crude, Neanderthal, knuckle-dragging right-wingers of the 1950s and early 1960s used to warn us against. But after six years, Holt gave up on that cause. He no longer believed its goals were achievable. So he walked away. It was 1953. He was 30 years old, a man with an expensive college degree and little experience doing anything but manning a submarine and working for a utopian cause out of a New York office. Out in Colorado, his younger sister had partly personal reasons for suggesting that he consider filling an opening she happened to know existed in the faculty roster of an expensive nearby private school. And so, in the fall of 1953, John Holt walked into a fifth-grade classroom and sat down for the first time behind the teacher's desk. After a few years in Colorado, he moved on to California, and from there to Boston, where he stayed for the rest of his life. Holt found it much more interesting being a fifth-grade teacher than he'd ever really imagined. Like the early 20th Century philosopher Ludwig Wittgenstein, who spent time in the 1920s, when he himself was in his 30s, teaching kindergarten children, Holt found it fascinating to observe the minds of children grasping — or failing to grasp — ideas, developing — or failing to develop — intellectual skills. Like Wittgenstein, he found it fascinating to speculate about the implications of his observations for any realistic theory of how the human mind works. And after 11 years in the classroom, Holt decided to set down his observations for others to read. He wrote a book, published in 1964, called How Children Fail. This first book wasn't in any significant way libertarian — though relatively little in it was incompatible with the libertarian way of looking at things. And it was certainly encouraging to libertarian readers that one of Holt's central themes was the importance of treating every individual child as an individual, with appropriate respect. "To live well with other human beings, adults or children, is a subtle art," Holt wrote. Rules for doing it are not much help. But if I had to make a general rule for living and working with children, it might be this: be very wary of saying or doing anything to a child that you would not do to another adult, whose good opinion and affection you valued. "Mind your own business" is not a bad minor rule in human affairs. This passage was not part of Holt's first book. It was written eight years later, after his first four books — How Children Fail, How Children Learn, The Underachieving School, and What Do I Do Monday? — had propelled him to the forefront of the school-reform movement of the 1960s. Holt's ideas seemed to many people at the time to be similar to the views of such other education critics of the '60s as Ivan Illich, Edgar Z. Friedenberg, and Paul Goodman. Like them, he began touring the country, lecturing. Meanwhile, his thinking continued to evolve in a libertarian direction. In 1972, when he wrote his fifth book, Freedom & Beyond, from which I quoted just now, he hadn't yet made it all the way. Certain chapters don't come across as particularly libertarian at all. 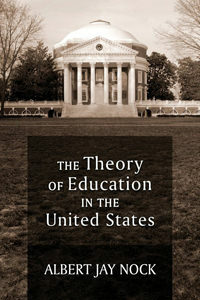 They show that for all the acuity with which John Holt had begun to analyze the larger implications of the issues he had encountered in the classroom, he had not yet begun to challenge many conventional ideas. Freedom & Beyond was a transitional book, which shows Holt still in the process of reasoning his way from school reformism to libertarianism. talk[ed] to and with hundreds of groups of people at meetings, large and small, almost all in schools or colleges and supposedly about "education." But more often than not, and particularly if we had time to get deeply into the subject, we found ourselves talking not about education but about such things as human nature, the meaning of life, the relations between children and adults, or American society. It has become hard to talk seriously about schools anymore, even with people who work on or in them, without finding soon that the subject of the talk has somehow moved outside the school building. Holt had discovered, through these wide-ranging discussions, that what he himself had begun to want to understand was something a bit bigger than what could be contained in the school building. He had begun to realize that what he wanted to understand was, in his words, "how people of varying ages and skills may live together and be useful to each other without some of them always pushing the others around." few of us really believe in freedom. As a slogan, it is fine. But we don't understand it as a process or mechanism with which or within which people can work and live. We have had in our own lives so little experience of freedom, except in the most trivial situations, that we can hardly imagine how it might work, how we might use it, or how it could possibly be of any use to us when any serious work was to be done. As an example, Holt cites the controversy then raging in educational circles between advocates of the "structured" classroom and advocates of the "unstructured" classroom. He writes, "There are no such things as 'unstructured' situations. They are not possible. Every human situation, however casual and unforced … has a structure." Moreover, he continues, "All of us live, all the time, within structures. These exist in their turn within other structures within still larger structures, like Chinese boxes." On the other hand, there are, Holt writes, "two different kinds of structure" in human society. There's "the structure of the traditional classroom," in which, though "the children may be all different … their differences do not make any difference. They all have the same things to do, and they are all expected to do them in the same way. Like factory workers on the assembly line, or soldiers in the army, they are interchangeable — and quite often expendable." This sort of structure, Holt points out, "is inflexible, rigid, and static." It is also "arbitrary and external. It does not grow out of and has nothing to do with the life and needs of the class, what the children want, what the teacher has to give. It is dropped on them from above like a great glass box." "By contrast," Holt continues, "the structure of the open class … is organic, internal. It grows out of the needs and abilities of the children and teachers themselves. They create this order" and "because they create it, the order works. By that I don't mean that it looks neat and pretty; it often does not. I mean that it helps people to get things done, helps them to live, work, and grow. It does not squelch life. It enhances it" (emphasis added). "Holt, in effect, reasoned his way to libertarianism from his relentless, dogged analysis of what worked and didn't work in education, in the schoolroom." You might say that Holt had reasoned his way into a version of Friedrich Hayek's famous insight about spontaneous order in human society and its superiority to order imposed on people from above, by those in power. But he found that most parents, teachers, and school officials were less concerned with the possible benefits of freedom than they were with what they considered the obvious benefits of what they called "discipline." Do what you're told without questioning or resisting, whenever I or any other authority tell[s] you to do something. Go on doing what you're told for as long as you're told. Never mind how dull, disagreeable, or pointless the task may seem. It's not for you to decide. Do whatever we want you to do, willingly. Do it without even having to be told. Do what you're expected to do. If you don't do these things you will be punished and you will deserve to be. Accept your life without complaining even if you get very little if any of what you think you want, even if your life has not much joy, meaning, or satisfaction. That's what life is. Take your medicine, your punishment, whatever the people above you do to you, without complaining or resisting. Living this way is good for your soul and character. Holt conceded that "some people who worry about discipline may not necessarily want their children to believe all the ideas listed above. But most of the Americans who said in a recent nationwide poll that what they wanted above all else in schools was more discipline probably had all these ideas in mind." after an evening meeting in a town of about 15,000 people, a man came up to me and said, "I run a bank here, and what I want to know is, if kids get the kind of education you're talking about, what are they going to do when I tell them that if they want to work in my bank they are going to have to get their hair cut and wear a suit and show up promptly at eight thirty in the morning?" I said, "Well, I suppose if a young person really wants to work in your bank, he will accept those conditions as part of the deal." He walked away looking dissatisfied. What I might have said to him, but didn't, was that if willingness to obey his orders was all he was looking for in his employees, he would probably not be in the banking business for long. One thing Holt had definitely decided by the time he wrote Freedom & Beyond in 1972 was that "the fact that we have an institution or condition, be it schools, jails, poverty, cancer, or war, ought not to bar us from asking ourselves, 'Should we have it? Do we want to have it? If not, how might we get rid of it, and what else might we have in its place?'" and then for a number of years I was a would-be school reformer. What I do now mostly is edit and publish a little magazine called Growing Without Schooling, which is written for, and to a large extent by, people who either have taken their children out of schools altogether or are trying to find ways to do so. The reason I do this is that I've come to believe that learning, the activity of finding out about the world and the people in it, is not something that has to happen inside a school. In fact, most schools are not very good places for it. I also don't believe any longer that in order to have learning you have to have teaching. I think most people, beginning from birth, are extraordinarily capable learners and all they need is questions answered once in a while, and road maps. If they get curious about a particular question, they may need somebody to say, "well, here's a book about that" or "here's a magazine." I think that what children need is access to more of the world and in particular to more adults whose work is not dealing with children. Holt had started his "little magazine," Growing Without Schooling, the year before, in 1977. By 1981, when he wrote his book Teach Your Own, he was well on his way to becoming the de facto leader of the new homeschooling movement. Four years later, in 1985, long before that movement had become anything like as widespread and influential as it is today, Holt was dead. One of the reasons Holt gave up on school reform in his later years was that he came to understand some fundamental truths about the school system. "Our schools," he wrote in 1972 in Freedom & Beyond, "are the way they are for many reasons that have nothing whatever to do with children's learning." Therefore, he argued, "convincing people that most of our present schools are bad for learning is not going to do much to change them; learning is not principally what they are for." society demands of schools, among other things, that they be a place where, for many hours of the day, many days of the year, children or young people can be shut up and so got out of everyone else's way. Mom doesn't want them hanging around the house, the citizens do not want them out in the streets, and workers do not want them in the labor force. What then do we do with them? How do we get rid of them? We put them in schools. That is an important part of what schools are for. They are a kind of day jail for kids. And by 1978, when I met him, Holt had become firmly convinced that kids did not deserve to be sent to jail. He was a "small 'l' libertarian," he told me, meaning a libertarian who wasn't a member or partisan of the Libertarian Party. We were both in the Copley Plaza Hotel that Labor Day weekend to attend a national Libertarian Party convention where Holt was an invited speaker. His name was well known to libertarians back then, and he knew it. He realized full well what he'd reasoned his way into in his efforts to understand the issues that had first presented themselves to him in a series of classrooms. He even took the libertarian name — but with reservations. He was friendly, but he remained apart, aloof — an Outsider.